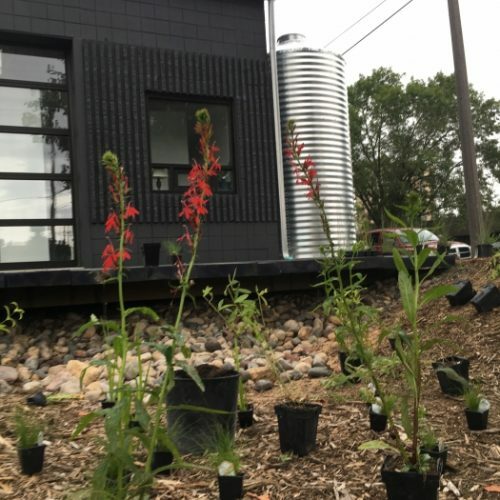 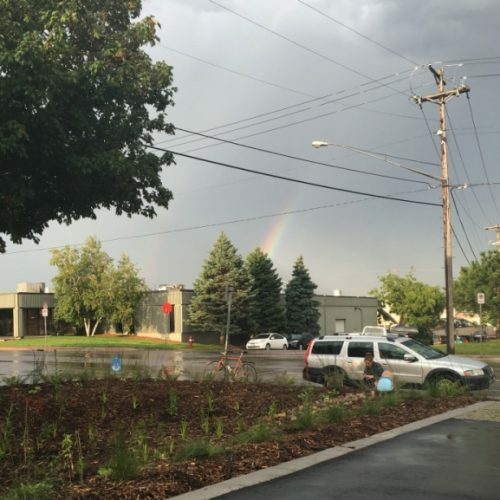 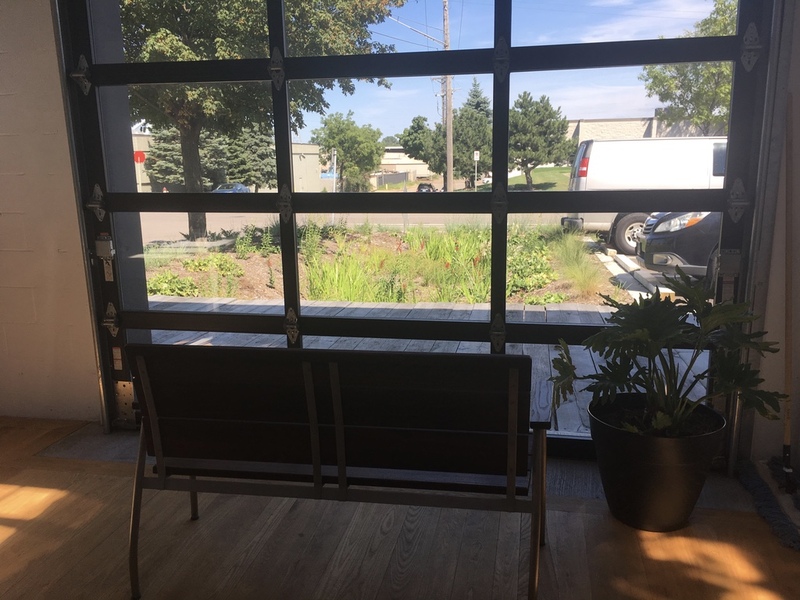 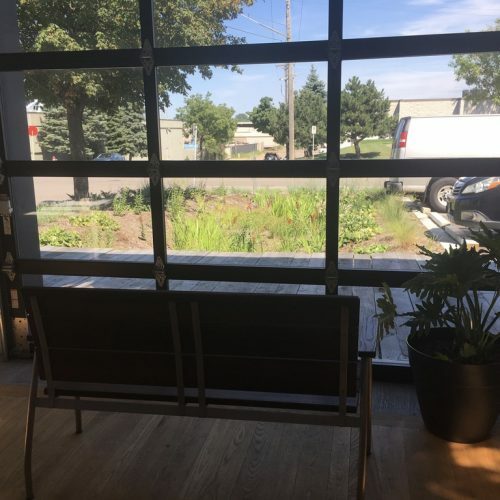 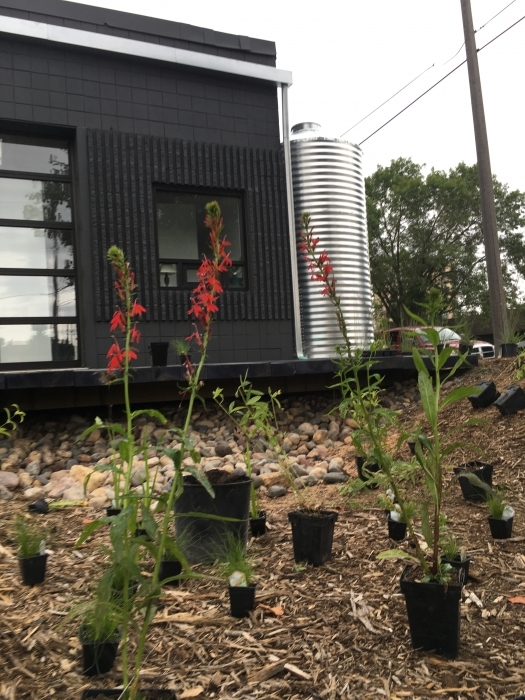 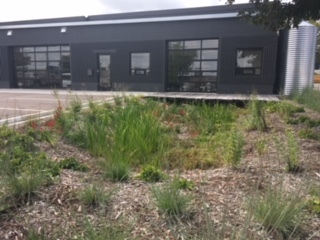 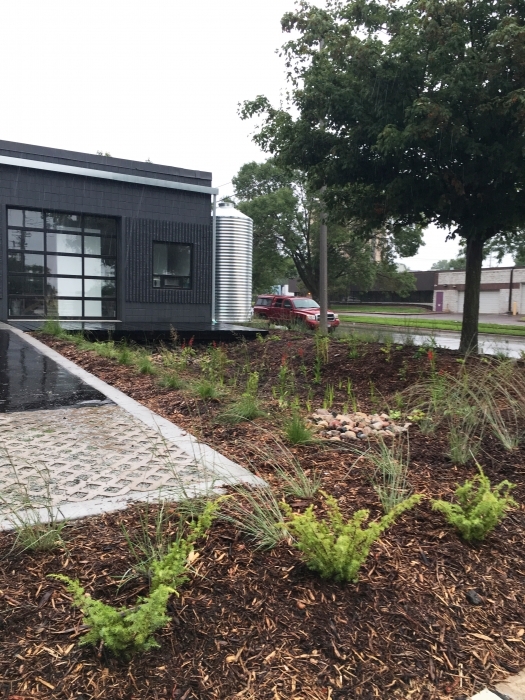 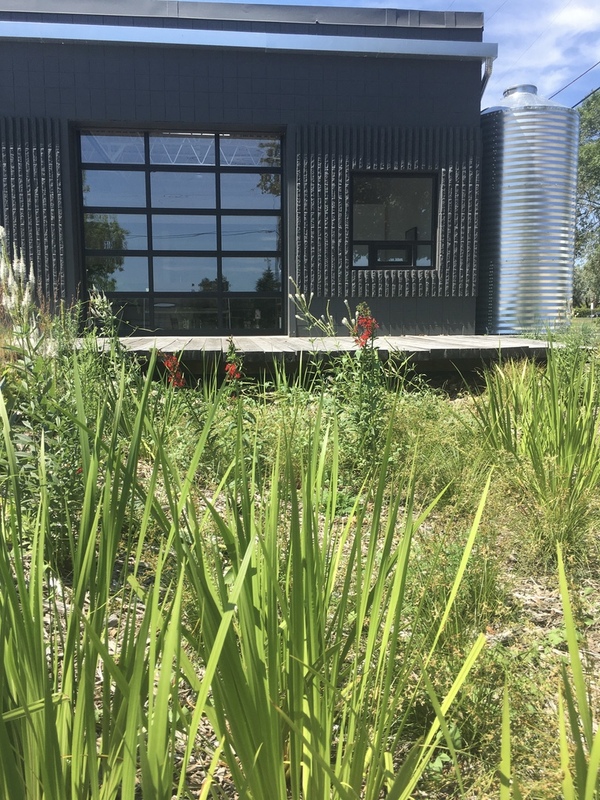 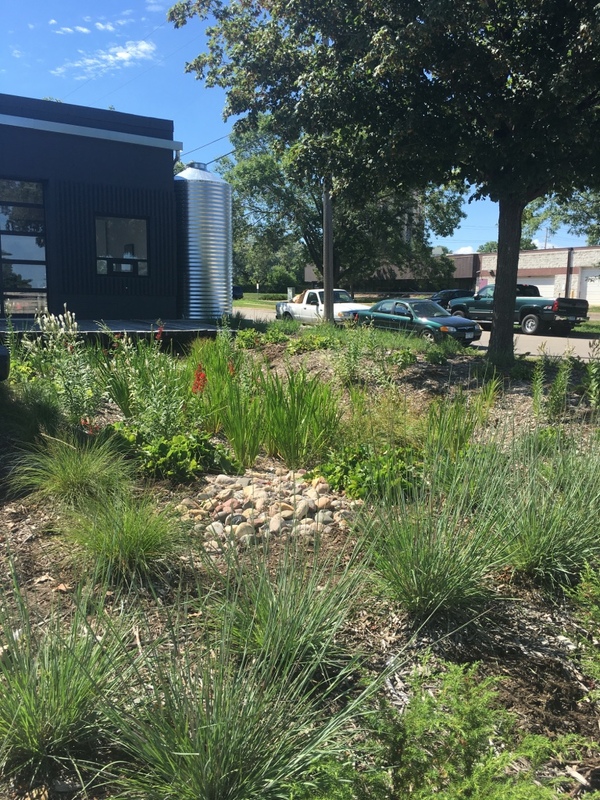 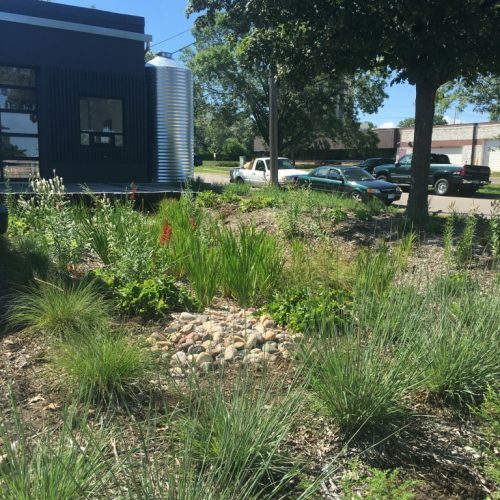 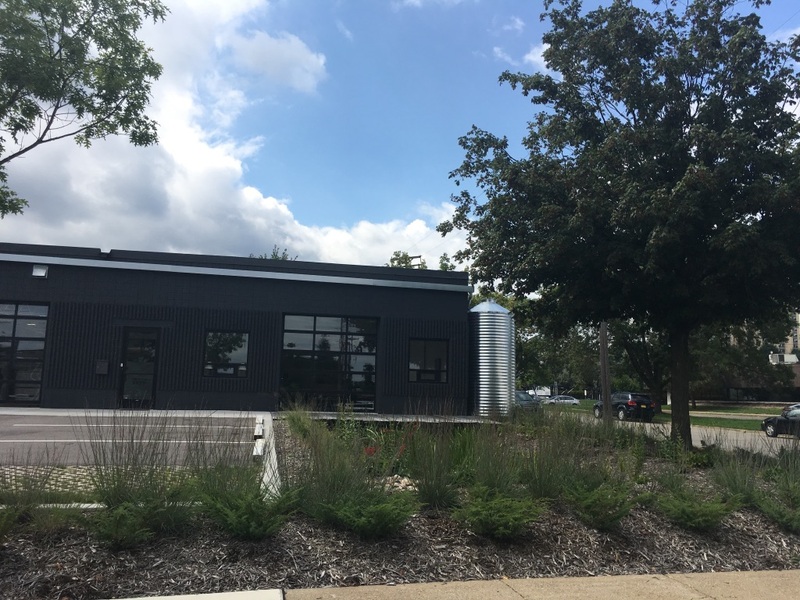 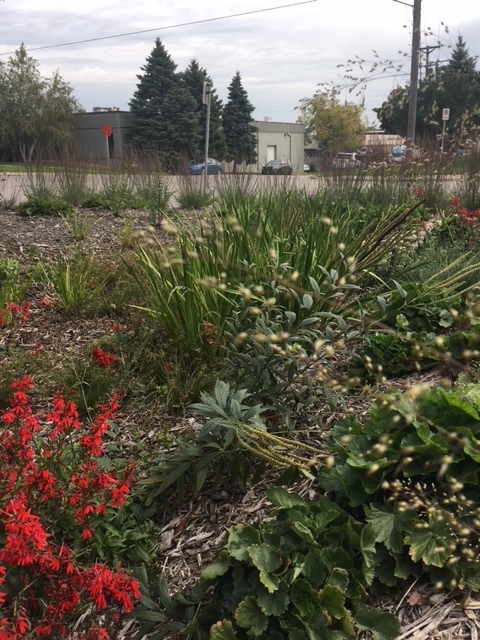 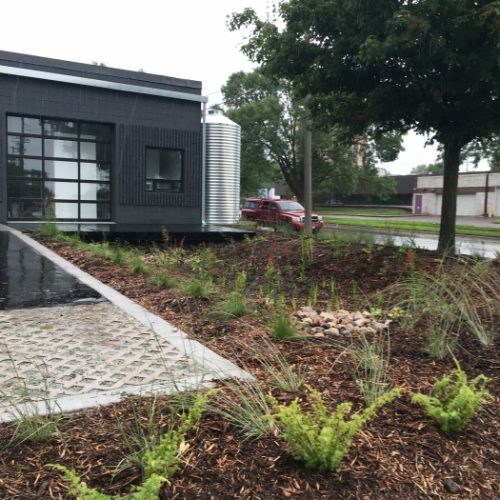 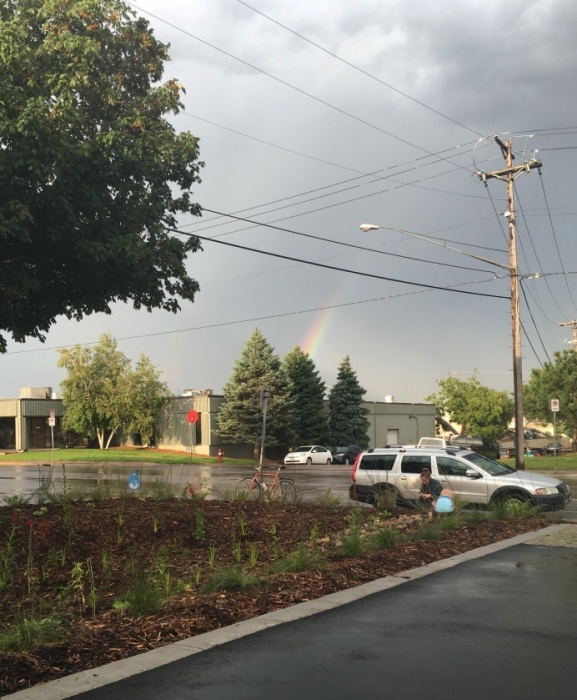 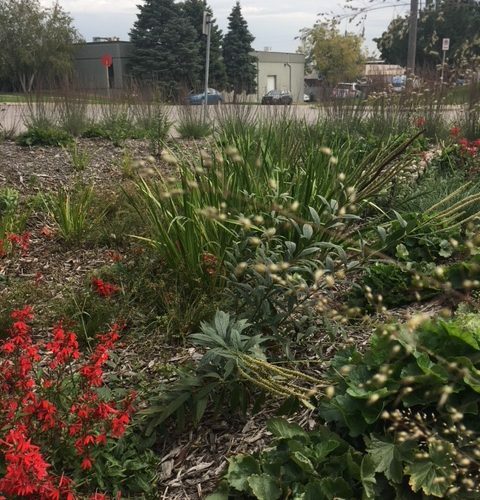 Collaborating with the Mississippi Watershed Management Organization, Rogue Arc, and Earth Wizards, we designed a commercial rain garden planting plan for the Fourth Street Woodworking Guild in the Industrial zone of North Minneapolis. 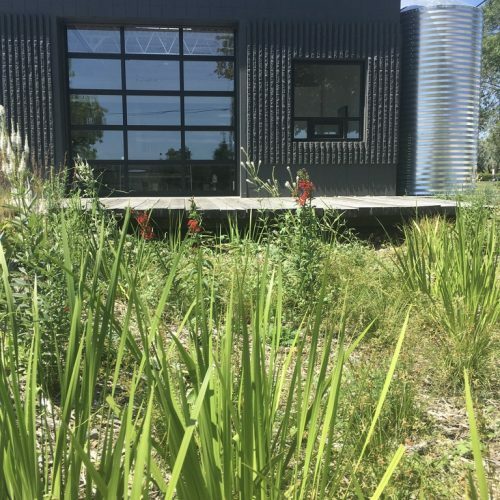 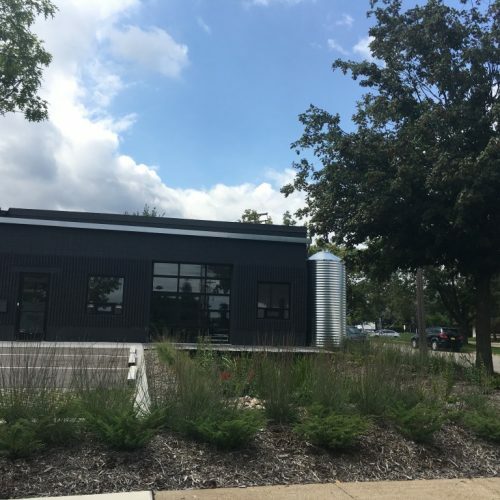 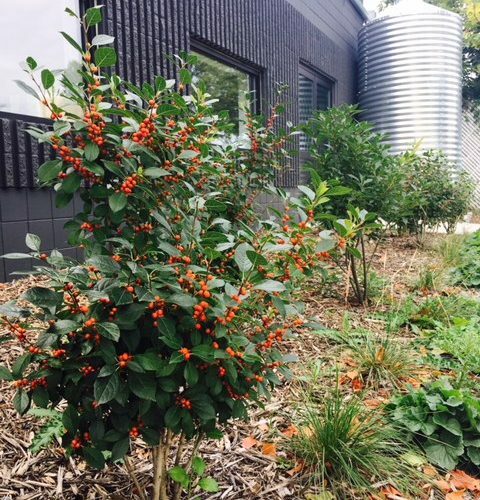 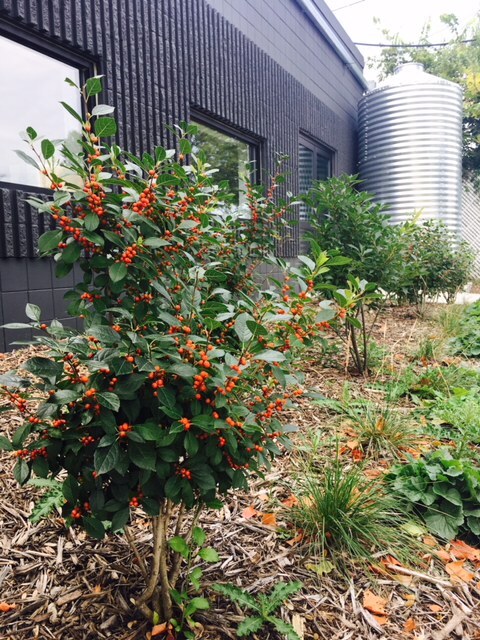 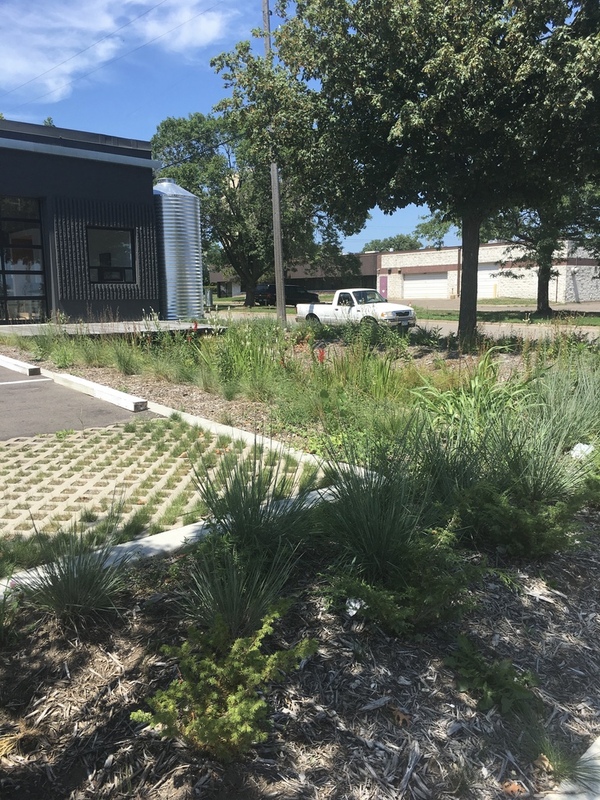 The goals were to complement the building’s modern and industrial aesthetics, fulfill ecological needs with pollinator-friendly native plantings, and create a functioning rain garden, selecting appropriate plants to assist in the engineering and stormwater requirements. 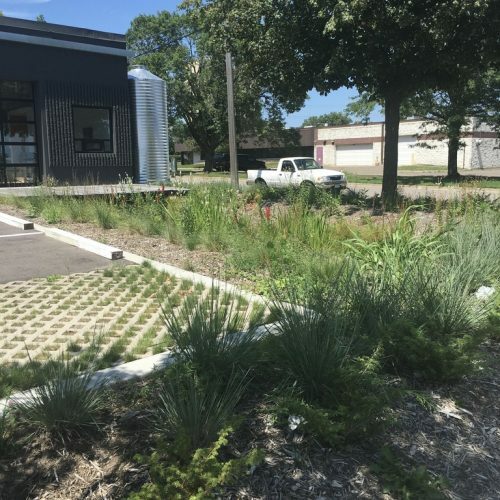 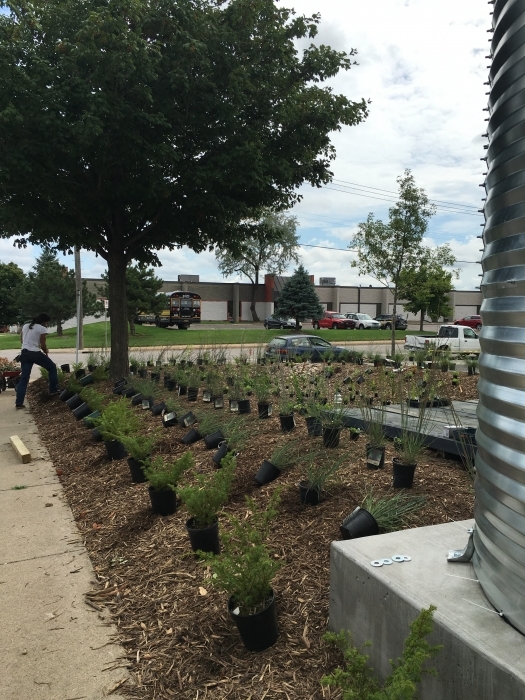 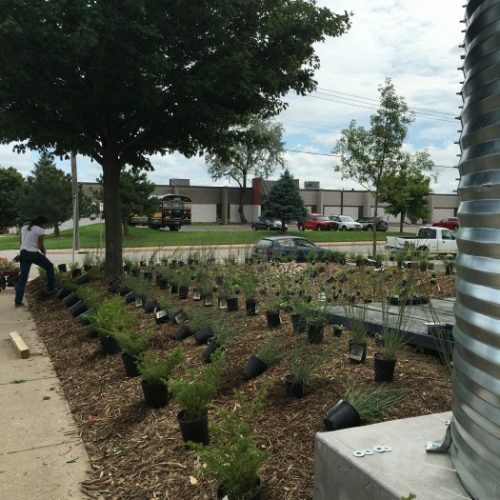 The planting swales in conjunction with rain cisterns and pervious parking has reduced 55% of the runoff that leaves the site, located one block from the Mississippi River.